The ease of a pop-up frame combined with premium dye sub graphics that velcro onto the frame. Five minute or less setup and break down wins the race. Great for all spaces and events. 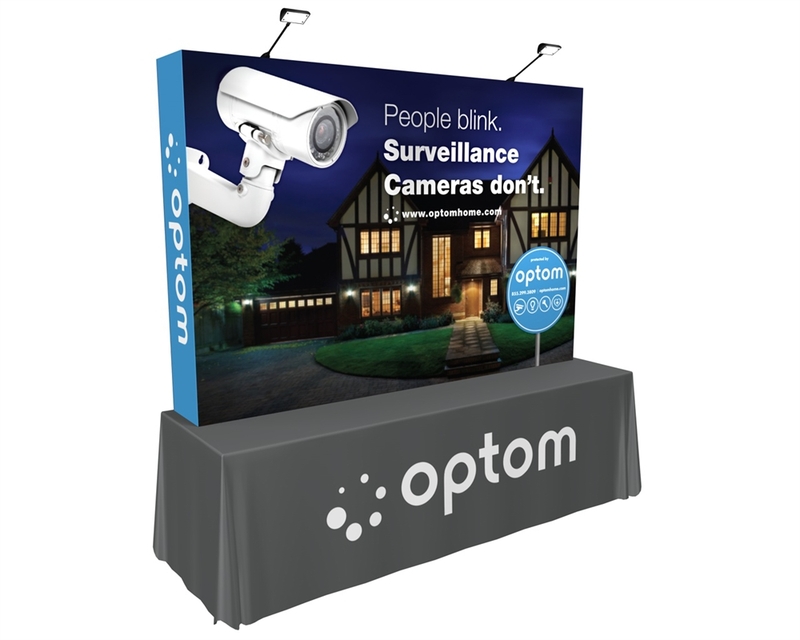 Lightweight yet durable tabletop display that sets up in minutes featuring a high quality printed fabric that attaches directly to the frame. 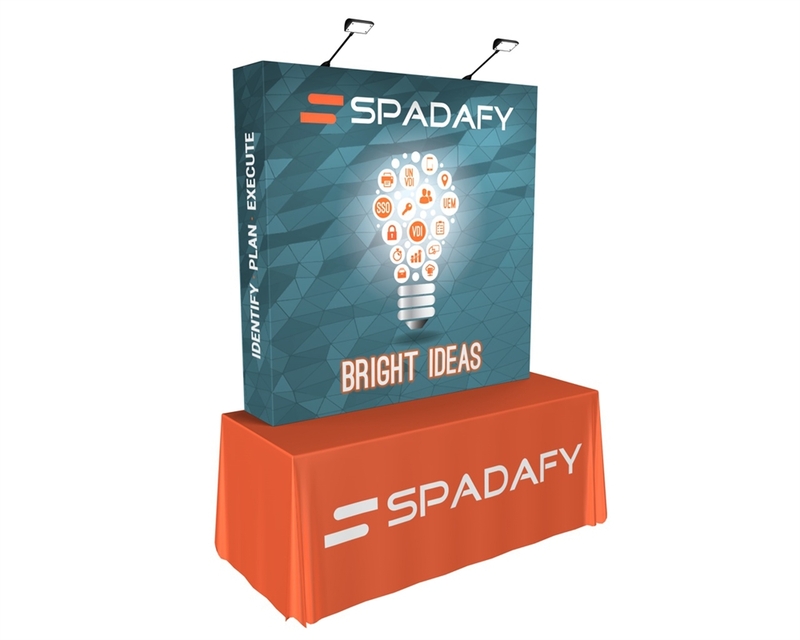 Kit includes a 6ft printed table throw, 2 LED lights, and a soft padded carry bag. 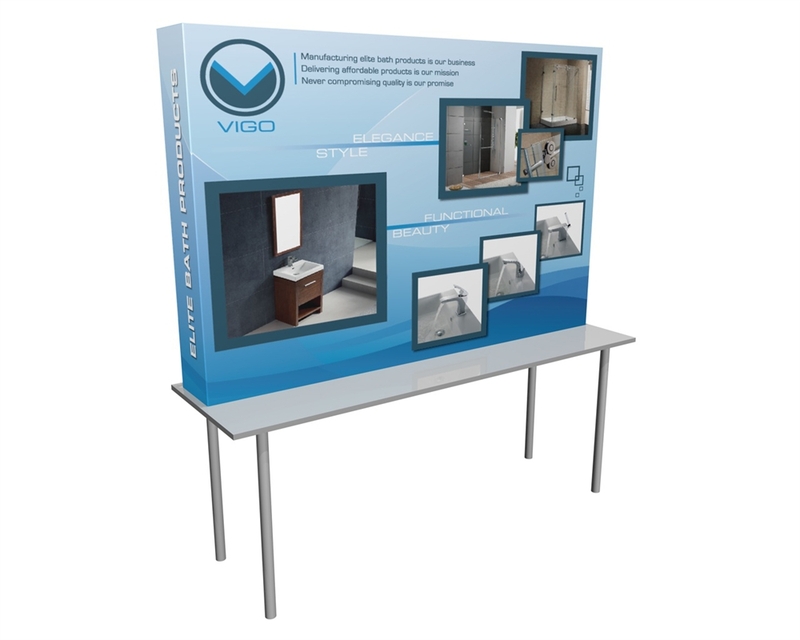 Tabletop display that sets up in minutes featuring a high quality printed 8ft fabric graphic that attaches directly to the frame. Lightweight yet durable this display ships in its own soft padded bag. 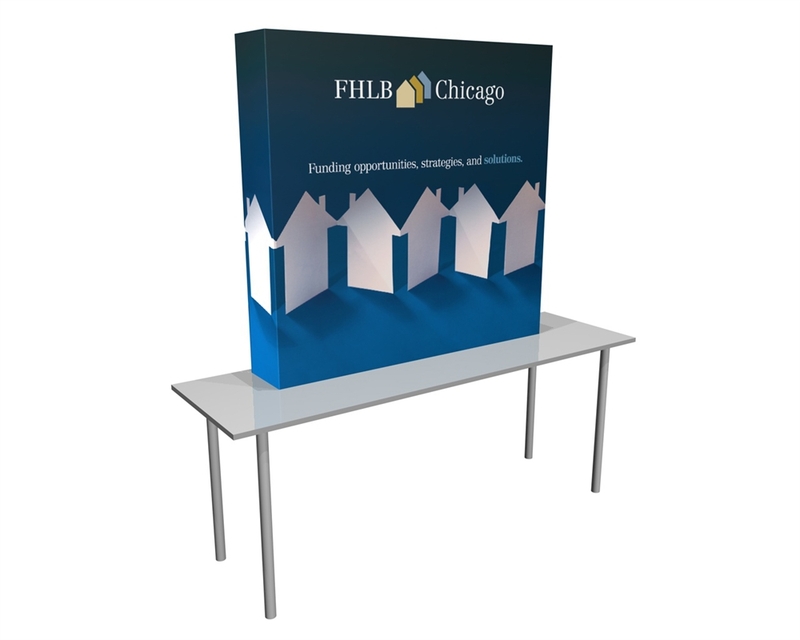 Tabletop display that sets up in minutes featuring a high quality printed fabric that attaches directly to the frame. Lightweight yet durable this display ships in its own soft padded bag. 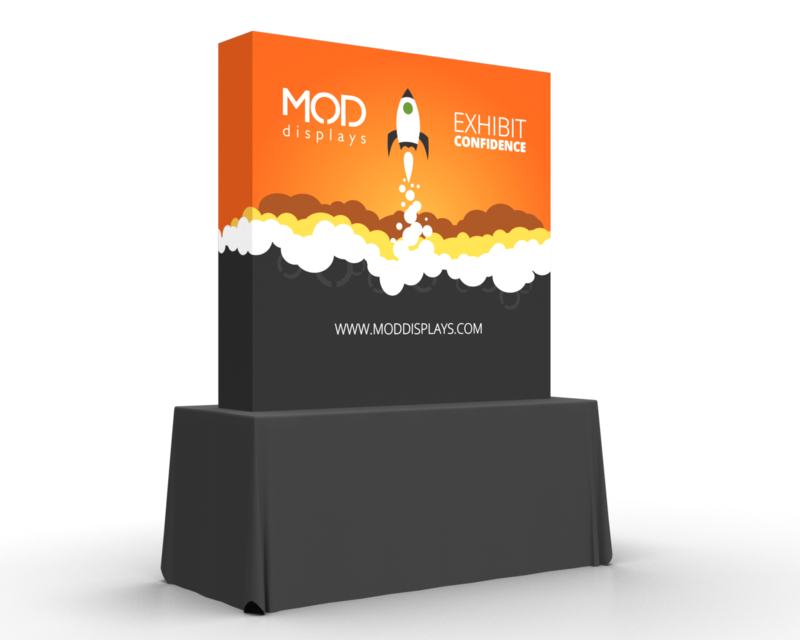 When speed is king, the lightweight OneFabric tabletop display frame and graphics accordion open for a simple 5 minute setup. The frame hooks together, and the high-quality printed fabric folds around the sides for a custom-branded edge. Graphic stays connected to the frame while stored. Kits include lighting and custom table throws. Each backwall comes with a soft padded bag for easy transport.